Why Take Two Martial Arts Classes A Week? Because its better than one! 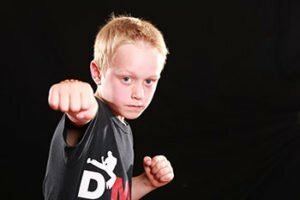 » Why Take Two Martial Arts Classes a Week? Most people have plenty of commitments in the average week. They could involve taking the kids to and from school, as well as going to work and taking care of everything at home. If your average week looks a lot like this, you’re probably wondering how you can make room for exercise. This is something many of our martial arts clients ask themselves… or at least they did before they started taking the regular twice-weekly classes. They wonder if they’ve got the time, and if they really need to take two. Wouldn’t one be enough? In reality, you get a lot more out of two classes each week than you would from one. It provides you with a regular form of exercise as well as a way to stretch your mind. Martial arts pack in far more than you might think in terms of benefits. 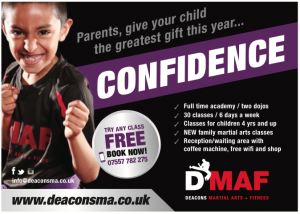 Think about increased confidence, improved stamina and better fitness levels for starters. And it doesn’t stop there. But you should also view the challenge of finding time for these classes from the other side of things. A lot of people find they feel healthier and have more energy, not to mention feeling calmer and better able to cope with daily life and its many challenges. To this end, they learn new skills and find they actually have more time and energy to deal with the things they may have struggled with before. It also means you have time to focus on you. We’re often the last people we take good care of, aren’t we? Yet some ‘me time’ can be just what you need to get you through another week. You’ll feel better for it, and of course you’ll learn some good self-defence skills as well. All in all, it’s a good deal.